And the contents are even more beautiful! $10 gift card for my next purchase! 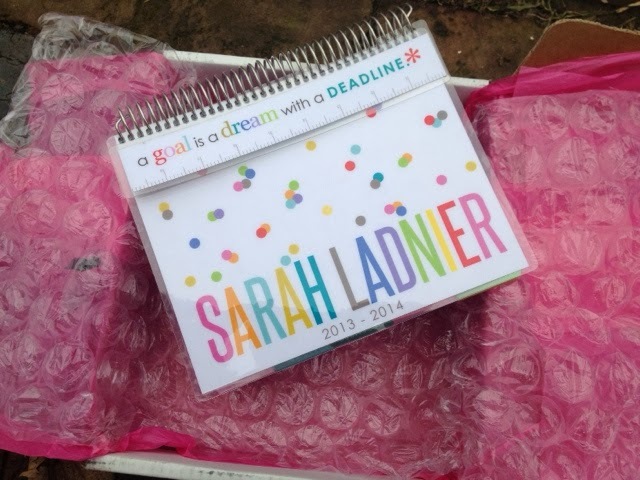 It is my very own Erin Condren Life Planner. I will admit, when I first started researching these planners, I wondered what set it apart from the rest and made it worth the $50 price tag. As soon as I held it in my hands, I knew. The materials used to make these planners are of a better quality than any other planner I have ever used before. With a very sturdy metal sprial binding and a laminated cover, it will be hard for Ayden to mess this one up (like he has done with all of the other planners I have tried this year. I am a paper and pencil kind of planner. I am a sucker for any cute planner, organizer, notebook and most other school/office supplies. But, they are most certainly not all made equally. If I had just purchased one of these beauties in the first place, I probably would have ended up saving money with all of the planners I tried that did not fit my organizational style. 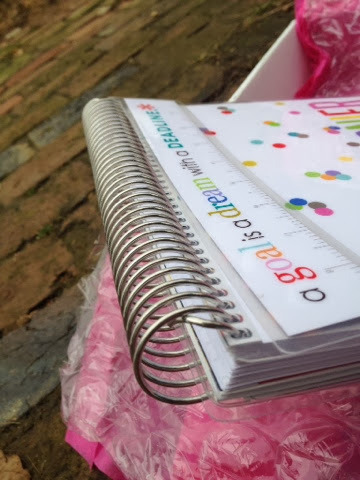 You can watch a great video from the Erin Condren website here that gives you a great tour of the layout of these planners. My favorite part is how the weekly pages have the individual days organized by morning, day and night. That is exactly how I segment my days when I plan them so, after a few weeks in, I can tell this planner is going to work for me for the long haul. If you are interested in trying out one of these amazing planners for yourself, I have got some great news for you! 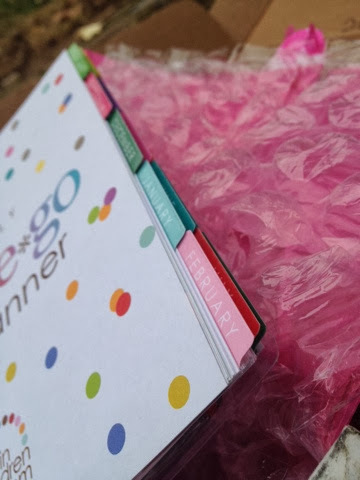 I contacted the company and asked if they would be interested in sending me a planner to try and they offered one better. 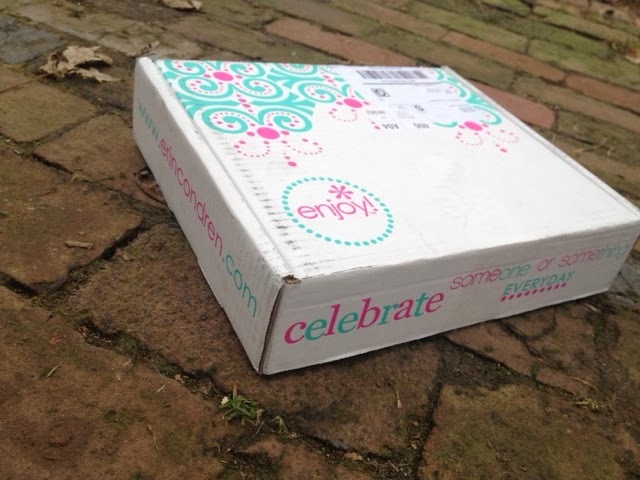 Not only did they send me this beautiful planner to use and review, they offered to sponsor a giveaway for one of you! 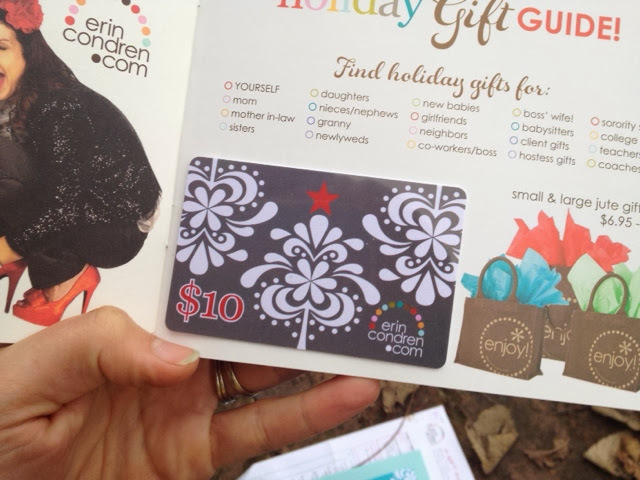 Enter below to win your very own $50 gift certificate to the Erin Condren website!! Not interested in planners? 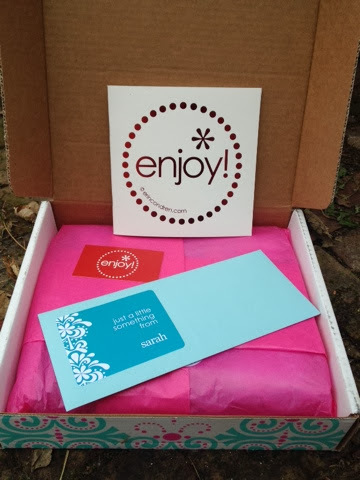 Never fear, the website has everything from business cards and notebooks to wrapping paper and packing checklists. There will be something for everyone! The giveaway will stay close on Monday, January 6, 2014. Good luck!! 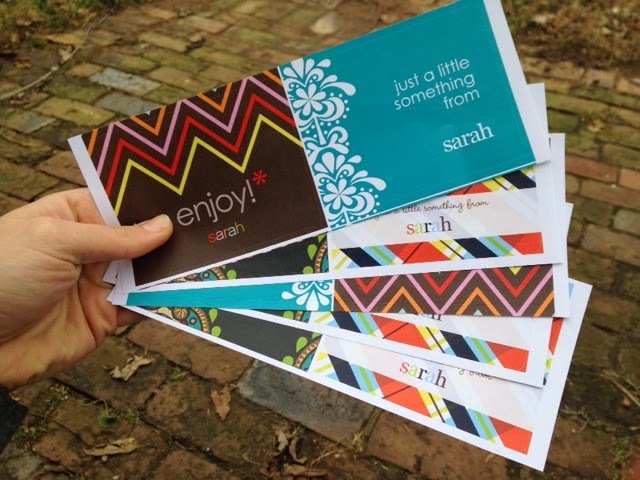 Have you every used any Erin Condren products? What did you think? Flashback! Here's what we were up to one year ago today: "Day With My Boys!" So excited for this giveaway! Even if I don't win, I will be buying one! I am with you on all of the planners out there...nothing has ever fit just right. This one looks like it will be perfect!! Thanks for sharing! I love window shopping on the Erin Condren websire so this would be an amazing prize! Thank you for doing this giveaway! I have never seen such an amazing organizer and would be thrilled to have a change to win!! I'm a new follower on Twitter, have Liked on Facebook and also Tweeted about your Giveaway! 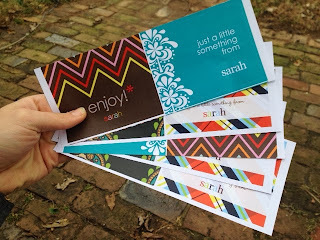 Thanks you Sarah and thanks to Erin Condren for the fabulous prize!! I haven't ever used Erin Condren but I want to - hence entering the giveaway! I've always heard such good things. I have never used a planner (except for highschool) and I think I should start. My life is chaotic sometimes! I remember i used to have a franklin leather planner, loved it. I need to start using a planner again. I also saw this planner reviewed on organized like Jen/ myhousewifelife and wanted to try it but just don't have the money for it right now. Thanks for doing a giveaway! I'm hoping you can answer a question...I am seriously contemplating buying one as I have had several different planners like you and none seem quite right. I'm currently 21 weeks pregnant and still working full time, with the possibility of being home full/part time once baby comes. Since you are a SAHM I think this works perfectly, but I don't want to waste half a planner while I'm still working and not doing a lot of weekly AM, PM planning. So my question, how is this in terms of 'purseability'? I like to have a planner in my purse for scheduling appts, etc. Would you carry this out in your purse or would it easily fit in a purse without being too bulky? It is definitely sturdy enough to handle being toted around. As far as it fitting, it depends on what kinds of bags you like to carry. I was always the Mary Poppins type of girls who liked to have anything I *might* ever need with me. That required pretty big bags so this planner would have easily fit. If you like to carry only essentials and therefore only need small purses, it might not be great for your purse. On the other hand, if you have a work bag in addition to your purse (something else I did when I was a teacher) you could always stick it in there during the work week. Good luck with your pregnancy and please let me know what you think if you end up getting one! Thanks Sarah! I actually ended up ordering one because I decided even if I didn't win the giveaway that I wanted one and since there is so much awesome stuff on there I would be able to spend it if I did! I'm excited to see it and figure one way or another it will get good use. Thanks for doing the giveaway and I'll stop back in to update what I think of it! I have been eyeing this planner and the Take Note! notebook for weeks! It is so expensive but I understand why to an extent. With it being hand made and assembled, it should cost more! Was so happy to have found your Vlog and enter the giveaway! Have been Tweeting and Facebooking :-) Can't wait to see who the winner is!